The Schools vs Cancer program provides students, teachers, and administrators the opportunity to become superheroes in their own communities by celebrating people who have battled cancer, remembering loved ones lost, and fighting back against a disease that has taken too many lives. 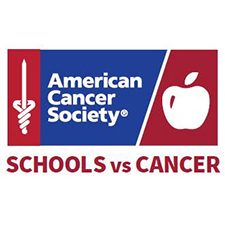 The Schools vs Cancer program brings information about cancer education, physical activity, fundraising, and community service into the elementary school classroom. Students then have fun with entertainment and activities that reinforce what they learned.